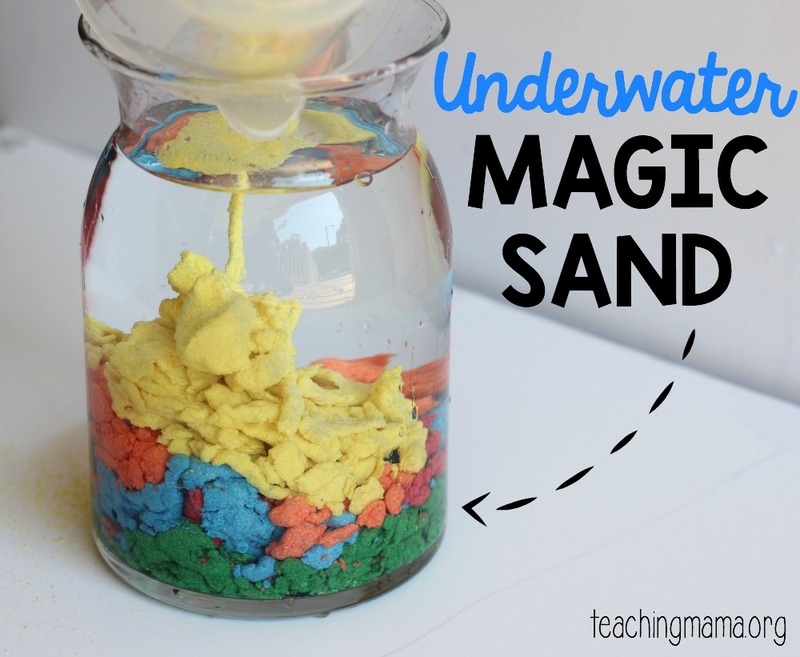 If you’re looking for a super cool science experiment, you’ll have to check out this Underwater Magic Sand. 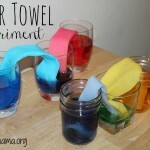 This experiment is SO neat! 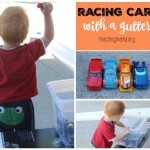 My kids loved it and I know yours will, too! Begin by lining your shallow container (or cookie sheet) with wax paper or tin foil. 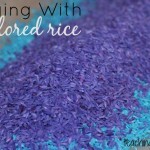 Spread the colored sand onto it. 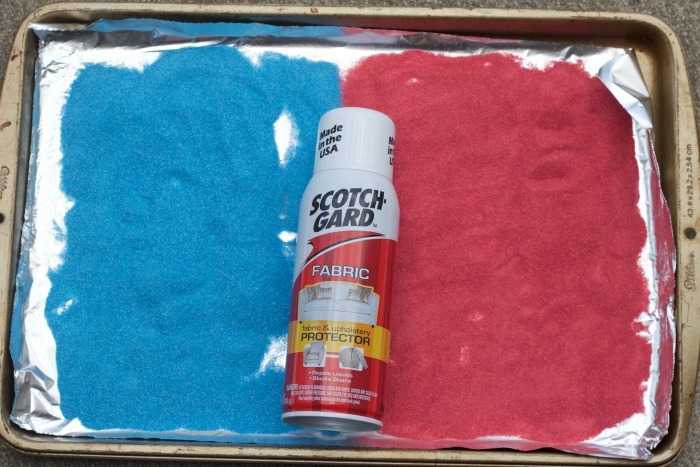 In a well-ventilated area, spray a heavy coat of fabric protector spray onto the sand. After 10 minutes or so, stir the sand around and spray another coat onto it. Make sure all the sand is coated. You can repeat this again if you feel like the sand needs more. 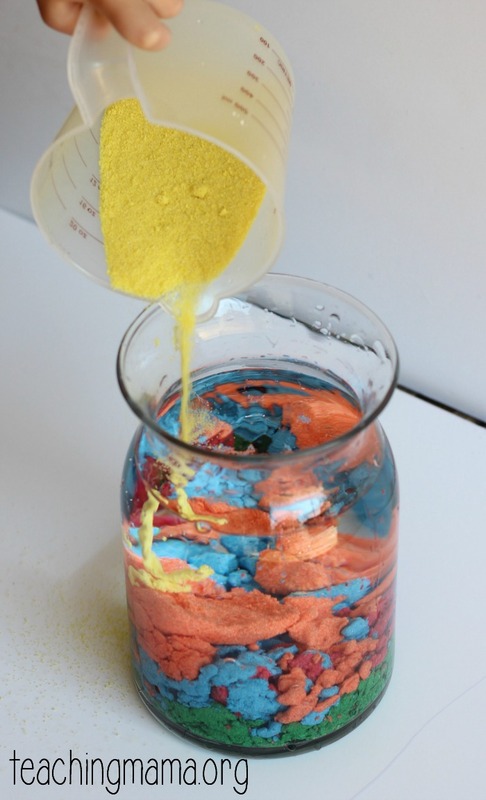 After the sand is dry (about 1 hour), pour the colored sand into containers. Fill another container with water. We used a wide mouth vase for this. 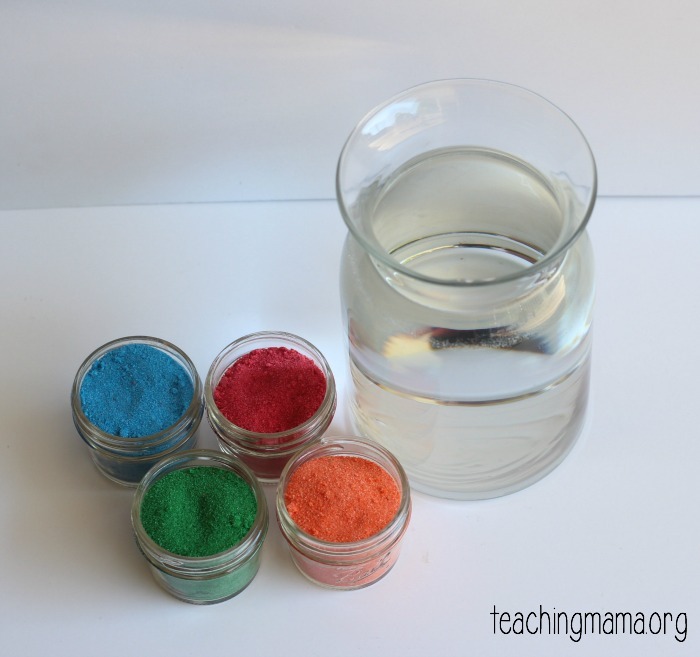 Then simply pour the colored sand into the water. 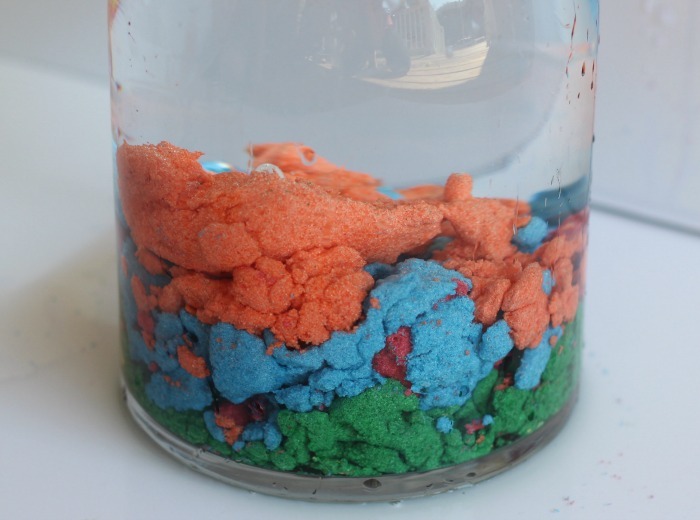 Watch how the sand clumps together when it hits the water. So neat! The sand clumps together because it was sprayed with the fabric protector (so it does not like water). I think it looks cool! 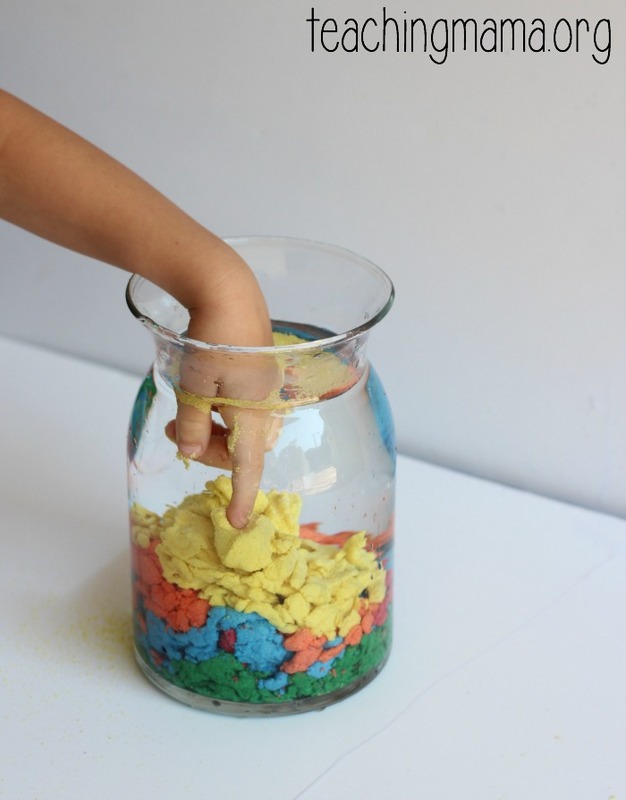 Pull some sand out of the water and see it as just normal sand in your hands. Then drop it back into the water and watch it clump back together. 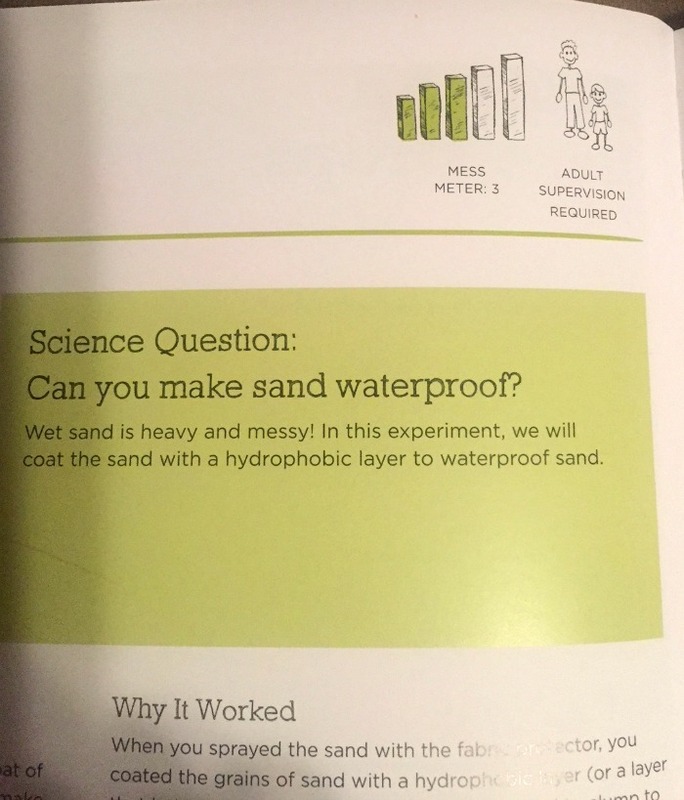 When you’re done, you can dry out the sand and reuse it again! If you want to see it in action, check out our video. 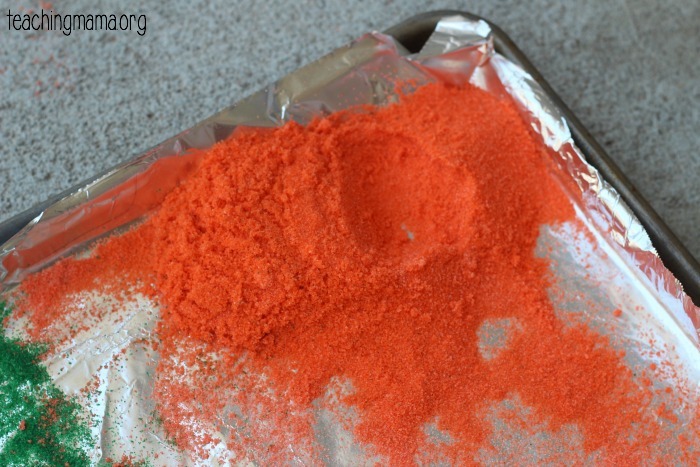 This recipe is from the new book, 101 Coolest Simple Science Experiments. We were sent this book to review and we LOVE it! 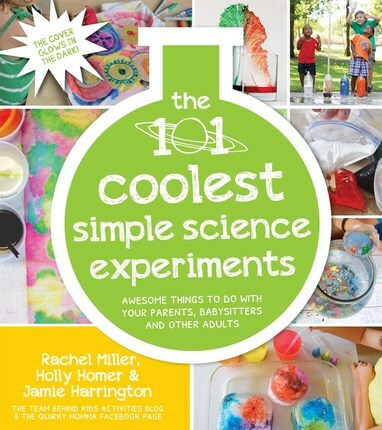 It has so many awesome, yet simple science experiments in this book. I love that this book is so well organized and has features such as the “Mess Meter” and answers the “why” behind each experiment. Another fun feature about this book is the cover glows in the dark! My kids thought this was amazing. 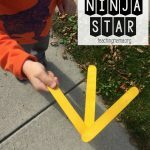 If you’re looking for some super cool science activities to do with your family or classroom, this is the book for you! Grab your copy here. 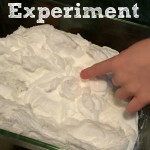 This is really a cool experiment. 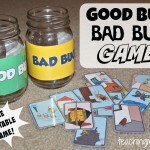 I will definitely try this with my preK 3 class. This is super cool! Can it be reused? Yes, we were able to!